Bach "Stradivarius Artisan" - New modular design, .547" large bore, new 8-1/2" one-piece hand-hammered detachable yellow brass Artisan bell, reverse construction yellow brass main tuning slide crook, new yellow brass outer slide, clear lacquer finish, deluxe engraving, C1867ART Artisan woodshell case. 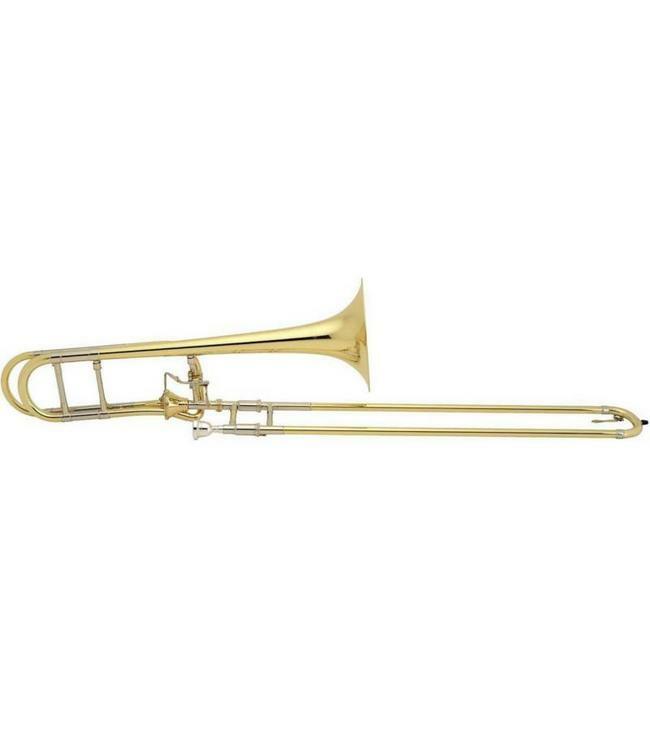 Also available with optional gold brass and lightweight gold brass detachable bells, gold brass and nickel silver main tuning slide crooks, and lightweight nickel silver tenor handslide and yellow brass bass handslide. All addon's are special order only.